Hummus is a Middle Eastern food dip or spread made from cooked chickpeas blended with roasted sesame seed, olive oil, lemon juice, garlic, and salt. 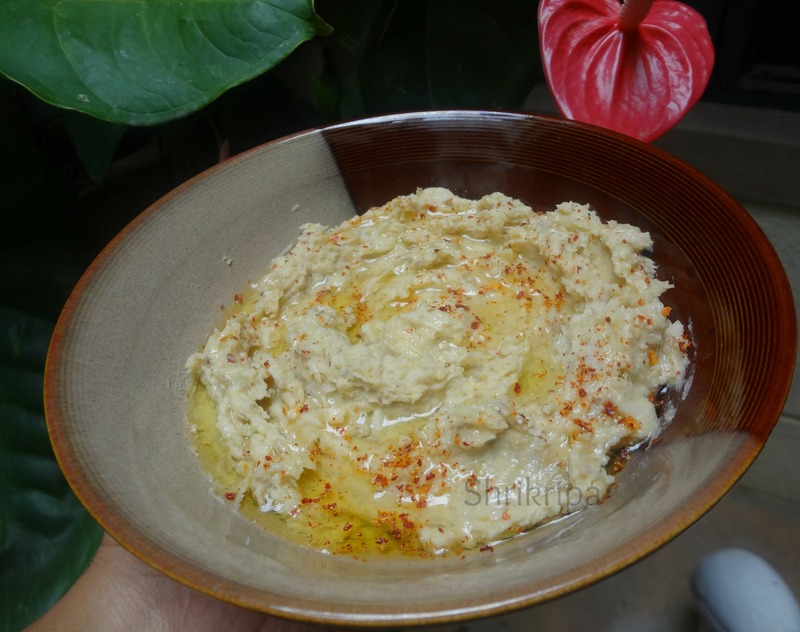 My family doesn’t like tahini at all (paste of roasted sesame) so I was thinking of how to make hummus without it. We Mangaloreans like breadfruit in any form. Last week when I had an abundant number of breadfruit, I made an attempt to make breadfruit hummus and believe me or not, it was an instant hit and I used this as the bread spread as a base for grilled sandwich. Soak chickpeas in water for 6 to 7 hours. Remove outer skin and inner pith of breadfruit. Make 4 equal slices and dip this in water for 5 minutes. Drain water and steam cook these pieces without putting any water. Cook Chickpeas and keep aside. 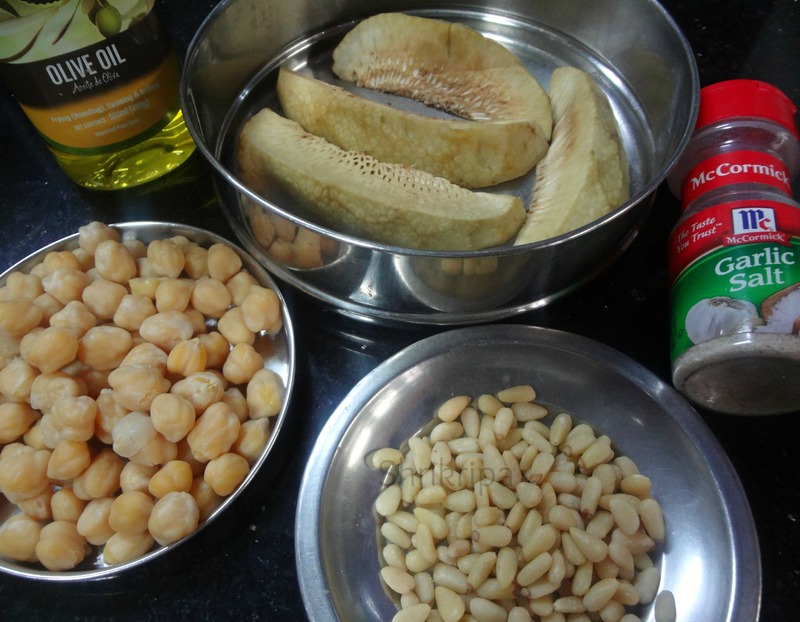 Cool breadfruit and chickpeas completely. Now grate cooked breadfruit and keep it ready. Take one mixer grinder, powder pine nuts. Then put cooked chickpea and churn. Add garlic salt, olive oil and churn. When it is a little rough, add grated breadfruit and give one churn. If you like the smooth texture you can grind further. I like the texture to be a little chunky, so I kept it like that. Remove from the mixer jar, sprinkle little olive oil and chilli flakes.